Home > embassy of japan > Events > Japan > travel > Go to Japan for FREE! Go to Japan for FREE! Do you know that you can GO TO JAPAN FOR FREE? 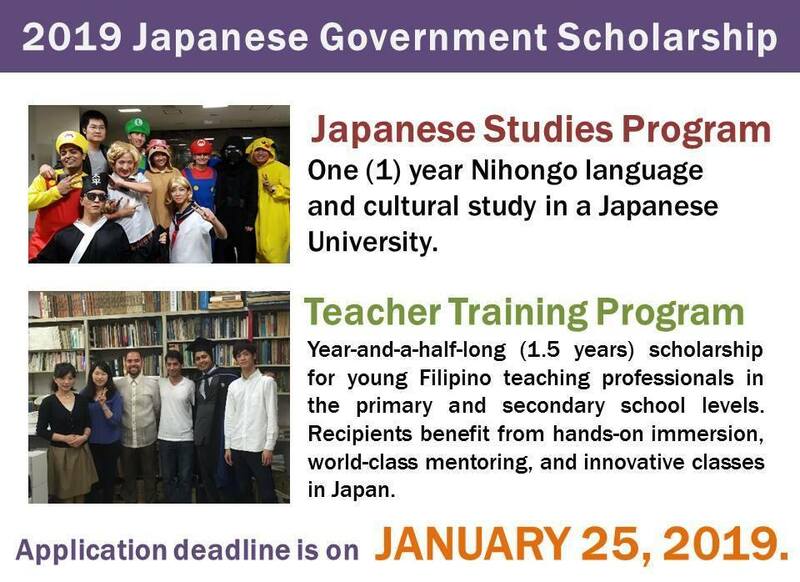 Yes, indeed through the 2019 Japanese Government Scholarship Program. This program includes the Japanese Studies Program and the Teacher Training Program. 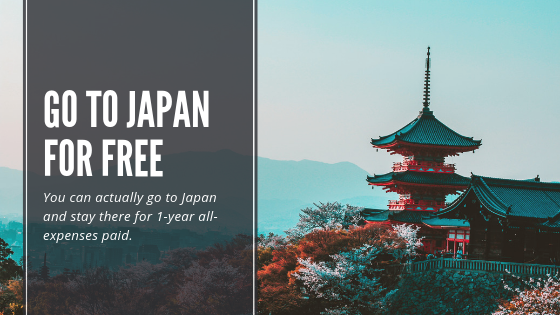 This might be your chance to go to Japan for Free. If you cannot submit this year then get regular updates from the Embassy of Japan through their website and Facebook page.